A premium low modulus neutral curing silicone that conforms to BS5889(A). Adheres to brick, PVCu, polycarb., steel, wood, aluminium and glass. Accommodates movement of ±25%. Premium Building Silicone 310ml Clear is rated 4.7 out of 5 by 15. Rated 5 out of 5 by Sonicx from Great all round Brought this for a specific job as it is also food safe. Rated 3 out of 5 by Arty76 from Needs patience minate flooring instead of using beading, tends to spread out and side move up need to apply and wait a few hours to spread flat. Rated 5 out of 5 by Mystery man from Slick stick I used this product for the first time for gap filling around the bathroom but not within the obviously WET areas,prior to laying the new vinyl flooring. It adhered well to various materials and supprisingly of low odour. Will use again. Rated 5 out of 5 by Salty123456789 from Does what it says on the tin. Works well as a gap filling sealant but I couldn’t get radio two on it. Rated 5 out of 5 by Poohs from All good Needed an acid free sealant and this fitted the bill at an excellent price. Read on another review that the white sealant dried an off-white colour. No such issue for me so maybe they had a faulty one. Rated 5 out of 5 by fairwaysbill from time will tell bought this to seal roof felt, when i looked at the small print "don't use on bitumin or asphalt" doh. tested on a small piece of felt. no adverse effects so went ahead , no problems up to now! completly water tight and it's cured now so can't see any problems. also used it to seal joints in my drive - perfect. 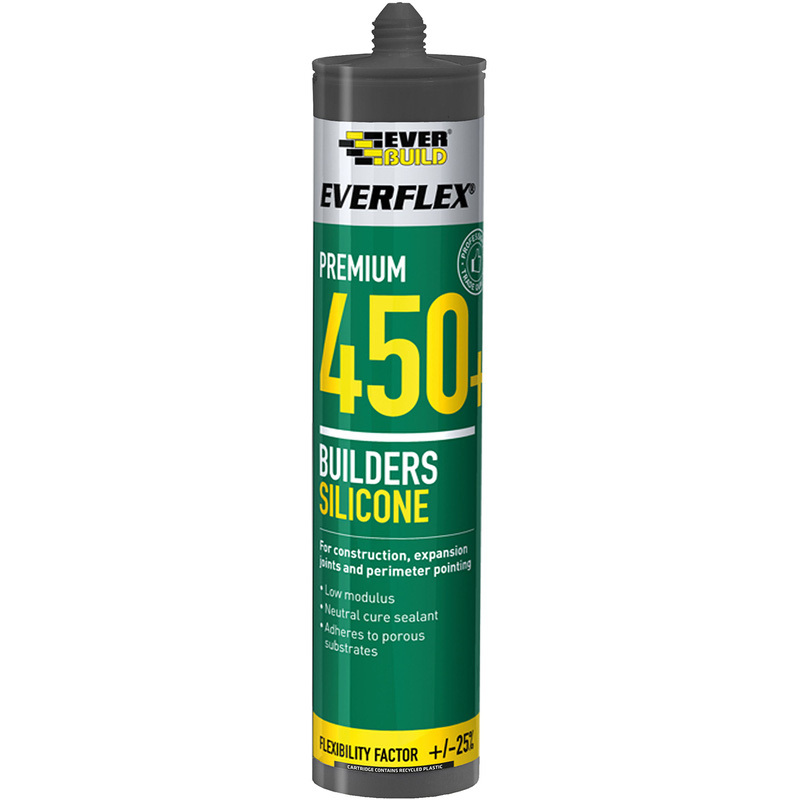 Rated 5 out of 5 by peters from Good Builders Silicon Sealant I have purchased this many times over the last few years from various sources, and it is a good reliable builders silicon sealant at a good price. Works well for expansion joints and most outdoor applications.